After the major disappointment of missing 1-Nenokkadine, it felt as if it had been a very long time since I’d been able to indulge in the wonders of Mahesh on the big screen. As an added bonus Aagadu was being shown in my local cinema, the wonderful single-screened art deco Astor, which has the luxury of a dress circle and velveteen-couches for lounging while waiting to get into the auditorium. Plus the bonus of subtitles! Going to the Astor is always an ‘experience’ and even more so for Mahesh. There were massive posters with accompanying garlands, samosas for sale in the foyer, and even that rarest of things – allocated seating! Regular visitors to Telugu film nights in Melbourne will understand what revelation this was – no pushing and shoving to get in and try to find a seat that hasn’t been ‘saved’ by the first twenty people through the doors? Not this time! First night, first show and there was an orderly ticket collection queue, a leisurely stroll to your seat (with ushers!) and plenty of time to soak up the atmosphere with the sell-out crowd. Aagadu sees Mahesh reunited with Dookudu director Srinu Vaitla, although the partnership doesn’t deliver such an entertaining film this time round. Along with a number of familiar faces in similar roles, the usual mass themes pop up time and time again, so the plot feels tired even before it gets past the first half hour. Still, it starts off well enough. Young Shankar is rescued from the streets by Police Inspector Raja Ram (Rajendra Prasad) who adopts him into his household based on Shankar’s non-tolerance approach to crime. Naturally this family relationship doesn’t last long, and Shankar is cast off by Raja Ram in suitably dramatic fashion after taking the blame for something he didn’t do. Despite these early troubles Shankar follows in his adopted father’s footsteps and grows up to be ‘Encounter Shankar’; a man so feared that the mere mention of his name is enough to turn big, bad gangsters into quivering cowards. 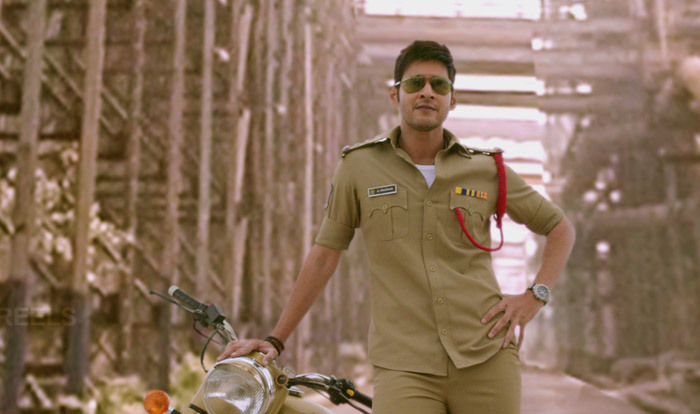 As expected once he appears on-screen, Mahesh Babu throws villainous thugs around with gay abandon while indulging in snappy dialogues and keeping his uniform creases sharp. Mahesh is in his element here and it shows. He looks even more baby-faced than ever as he single-handedly beats various thugs into submission and revels in his indestructible super-cop persona. Pretty similar to the way he did in Dookudu really. The opposing gangsters have learnt nothing and still tend to attack one at a time (they can’t ever watch any movies or they would know better), and there are plenty of barrels, containers, and various other items for them to crash into. The outcome is always a forgone conclusion but it is the getting there that counts, and the action scenes are excellent. 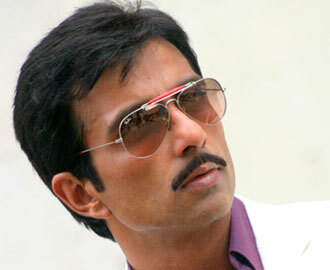 Encounter Shankar is sent to Bokkapatnam, where crime lord Damodar (Sonu Sood) is terrorising the locals and keeping the police firmly under his own control. Sonu Sood seems a little off his game here and is never quite menacing enough to be the big bad movie villain needed to offset Mahesh’s heroic cop. An early attempt to give him a ‘quirk’ falls flat and apart from one or two moments of sneering he’s a bland and relatively innocuous character. Srinu Vaitla seems determined to include as much humour as possible, but his inclusion of the gangsters into the comedy motif works against any possible build-up of menace and just isn’t particularly funny. Even Damodar’s gangster lieutenants are roped in with Raghu Babu, Posani Krishna Murali and Prabhas Seenu dropping their initial villainous personae for dumb comedy routines that do nothing to help the story. There is more comedy in the form of M.S. Narayana who is reasonably amusing as a data broker, although the best comedy moments go to Mahesh as he befuddles the villains with reprises of his own movies. These gangsters really don’t seem to get out to the cinema much! The usual suspects turn up in the support cast including Nasser who seems wasted in a role as a mildly corrupt cop, while CinemaChaat favourite Ajay fares a little better in a more serious than usual role and Vennela Kishore has a reasonable role as Encounter Shankar’s main assistant. Brahmi turns up late in the film and it says a lot that he is sorely needed to bring some relief into an otherwise dull and predictable second half. He plays a broker who ends up as the fall guy for the police operation, but it’s really just the usual slapstick with the addition of a reasonably funny dance mix from recent films, although even that seems a copy of a similar scene from Dookudu. Tamanna plays the love interest and starts off as a relatively feisty character that seems to have potential. Unfortunately it doesn’t last, and after she succumbs to Shankar’s trite dialogue she is rewarded by relegation to appearing only in the songs. There is absolutely zero chemistry between Tamanna and Mahesh but she does get to wear some pretty skirts and twirl around mountains and deserts while Mahesh does some enigmatic walking, so it all works out OK in the end. I liked the soundtrack and the catchy songs are all well-choreographed and pictured, often with some very enthusiastic backing dancers. Shruti Haasan makes an appearance in a rather athletic item number which got just as many cheers as Mahesh’s entrance, but Bhel Puri has some of the best costumes. The backing dancers get to morph from Marvin the Martian to Jack Sparrow while Mahesh sports his classic shirt and jacket combination, although I’m not so sure about his red number with go-faster white stripes. Overall Aagadu is disappointing, as Srinu Vaitla rehashes ideas from his previous movies and includes too much comedy and an excessive amount of punch dialogue in his formulaic screenplay. The first half is entertaining enough, but the second half drags until the fast, final showdown which is over almost before it begins. 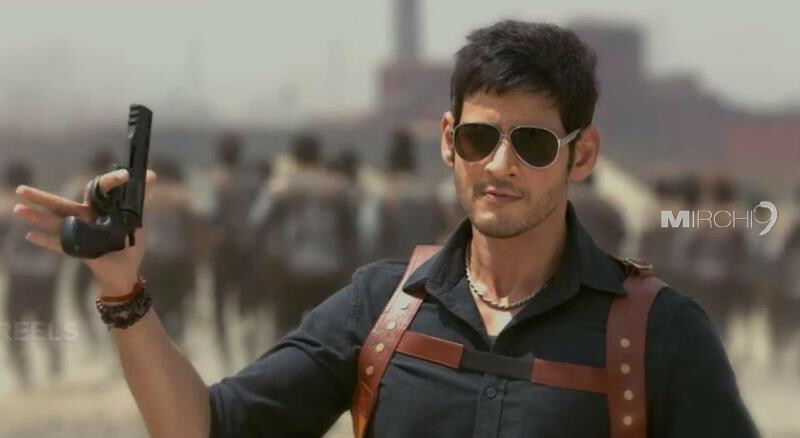 Mahesh is very watchable and almost manages to carry the entire film with his charismatic screen presence, but even his excellent performance and the best attempts of the rest of the cast aren’t enough to lift Aagadu above average. Best watched in a packed cinema with a large group of Mahesh fans, but in their absence, still worth watching for Mahesh, good action scenes at the start and the songs. 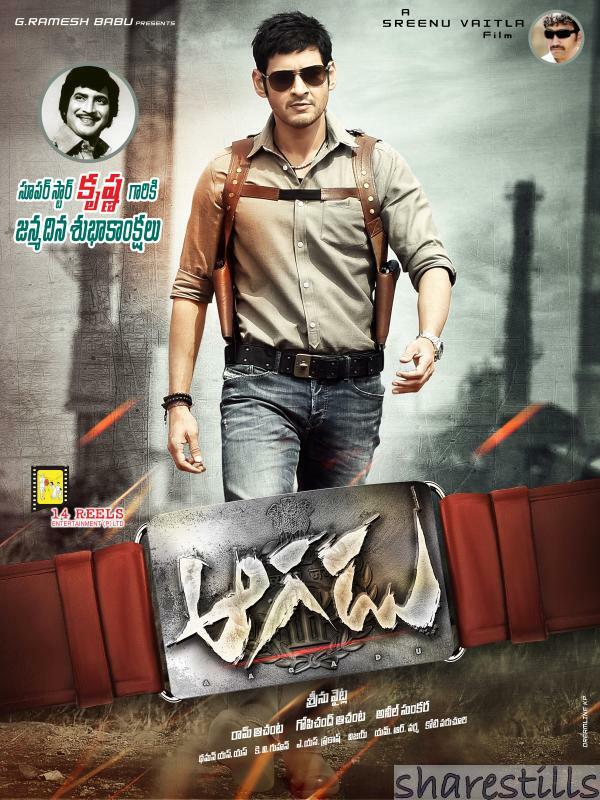 Aagadu is similar to other Mahesh films, particularly Dookudu, only longer and much less entertaining. I found the first half quite dull as the slapstick and comedy uncles piled up and yet the plot never shifted gears. The ‘comedy’ is broad and overstated – not Mahesh’s finest work. He can be very funny but Aagadu plods along, reusing the same shtick too many times, and Sankar lacks the sarcastic spark Mahesh has brought to other films (like Khaleja or The Businessman). The excessive punch dialogues were meant to be a running gag, but instead seemed a gratuitous reminder of how many other good films I could have been watching instead. 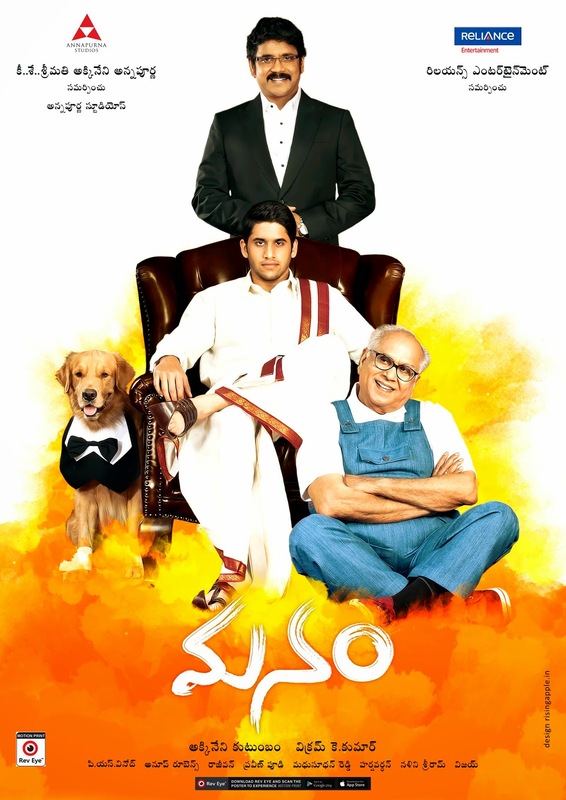 And it’s not an easy film for a new fan as the jokes are very Mahesh-centric, including a nice tribute to his dad, and would largely go over the head of anyone who wasn’t familiar with the oeuvre. The second half is more successful as Sankar FINALLY starts enacting his plans for revenge. Plus I quite enjoyed seeing Brahmi get slapped around. If I had to watch his tedious antics, I was glad to have the vicarious satisfaction of the tight slap. Despite high production values the CGI work is often poor, both in execution and judgement, and breaks the effect of otherwise excellent action choreography. There is one scene where suddenly Sankar is CGI’d onto a tabletop during a fight and he may as well have been surrounded by a dotted line with a legend saying ‘cut here’. And the subtitles, much as I appreciate the effort, were a bit dodgy. ‘Frightended’ was a highlight, and anarchy had clearly swept through the personal pronoun department. Although I liked the description “Pant. Shirt. Shirt. Shirt.”as I think that is indeed how Mahesh dresses. Well, at least the Astor has excellent choc-tops. And I hope that nice man The Mahesh Fan and I were talking to after the movie found his way to Doncaster.